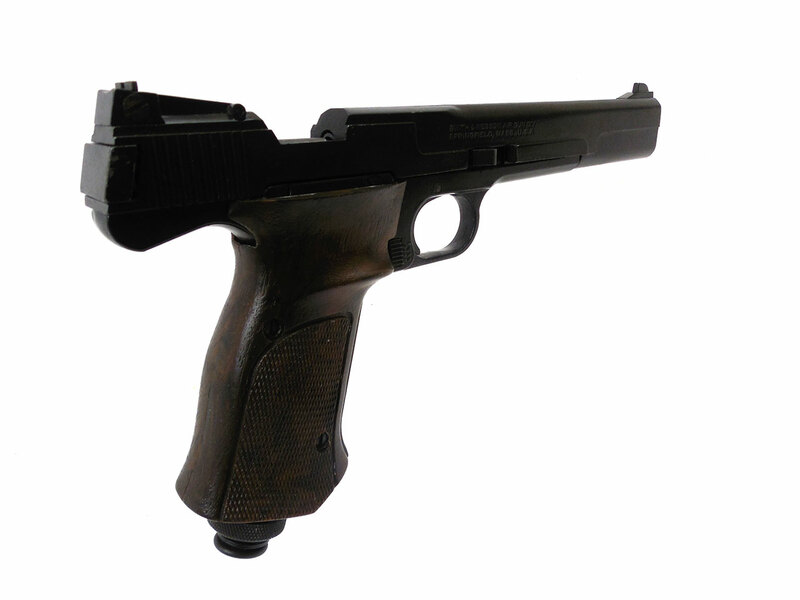 This gun is modeled after the popular Smith & Wesson Model 41 semi-auto pistol, and was manufactured by Smith & Wesson from 1971 to 1980. 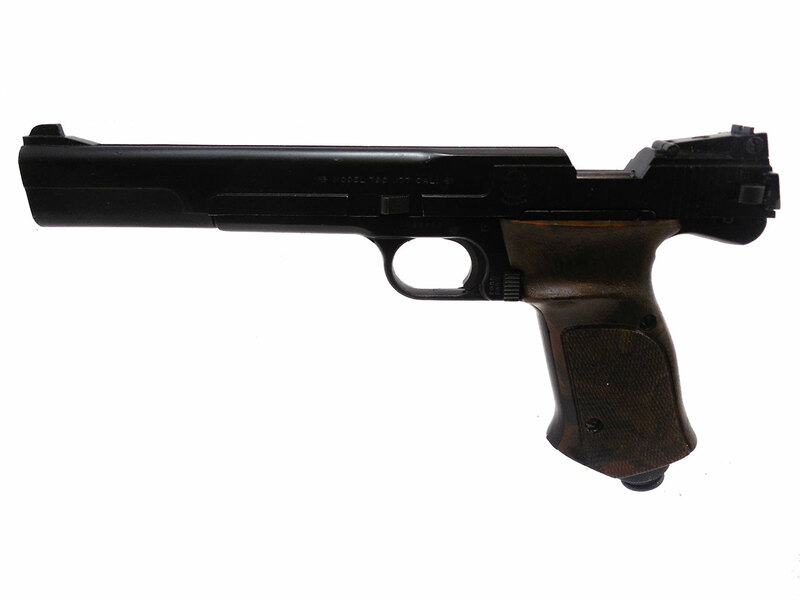 It is a .177 caliber, single shot, C02 air pistol using one 12 gram C02 Powerlet. 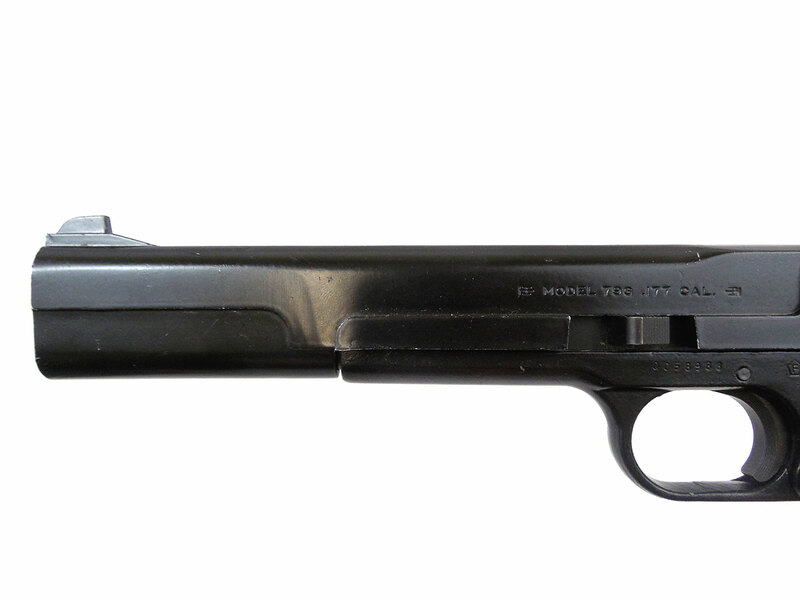 The .177 caliber 79G is much less common and harder to find than the .22 caliber 78G. 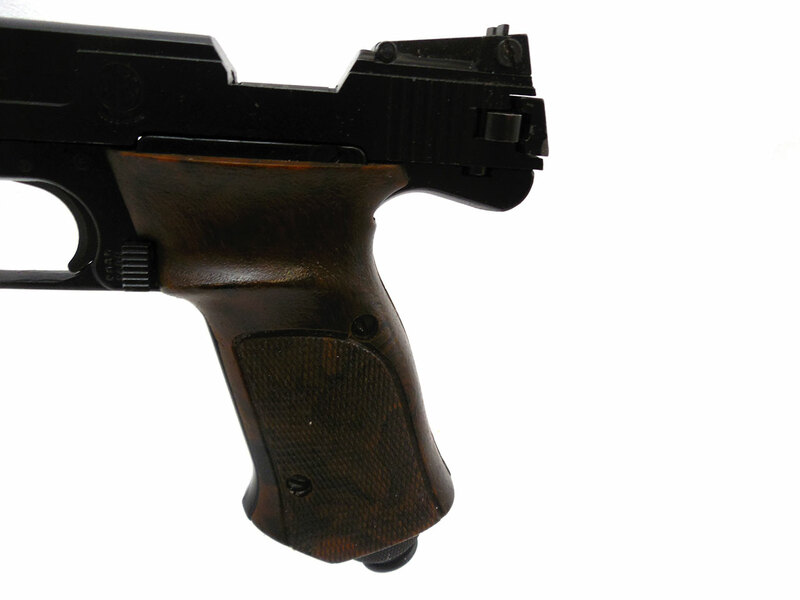 This gun is made from heavy cast metal with no cheap plastic parts. 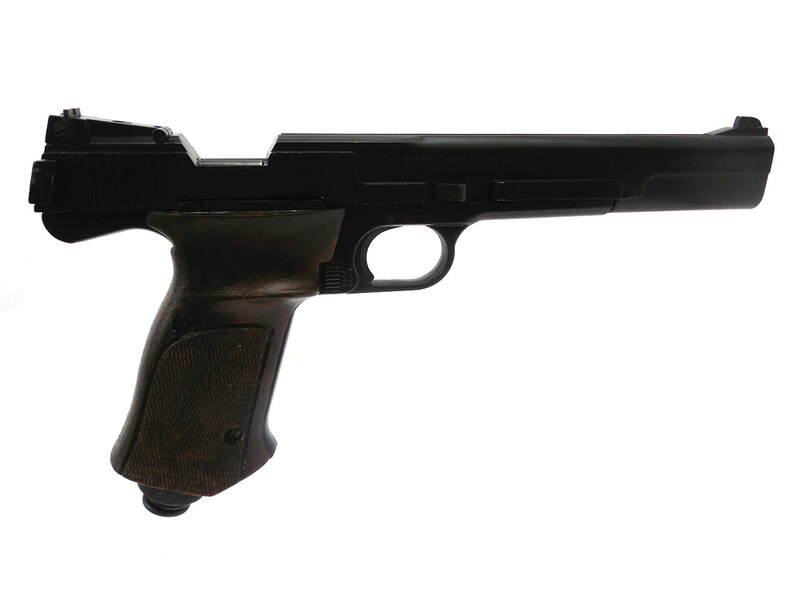 This is a very well made- American made air pistol. 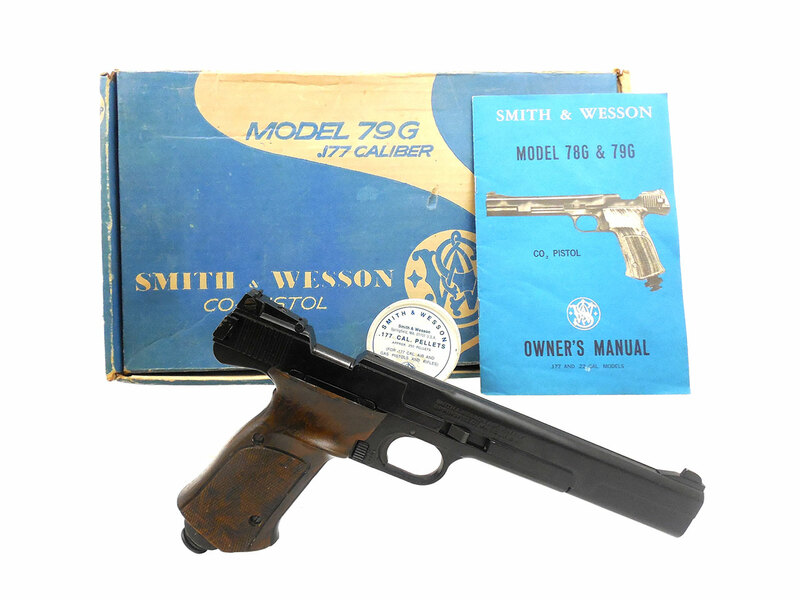 An original factory box, vintage S&W pellet tin, and owner’s manual are included. Nice outfit! The metal retains beter than 90% of the original finish. 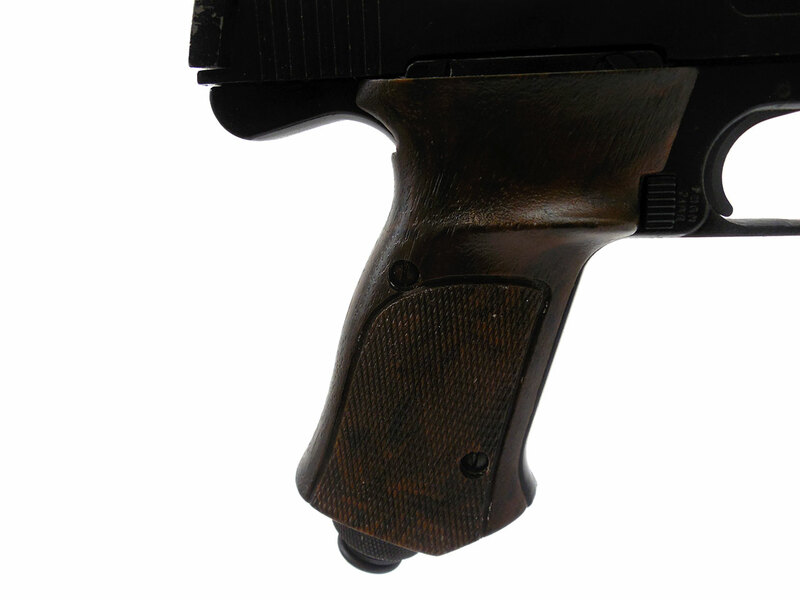 The grips are in very good condition. It was cleaned, lubed, and resealed in our shop. The velocity was tested at around 406 fps using lead pellets.